Great news from Talin. 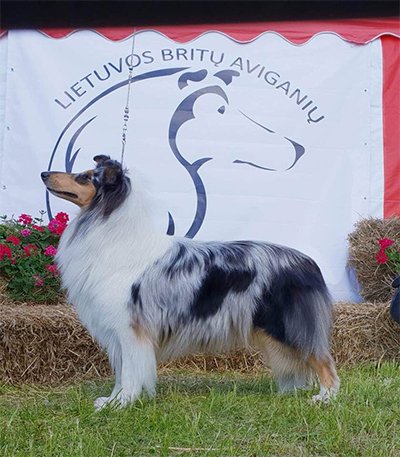 Our special girl Unique-Multi, Int Ch Que du Plaisir of the Holy Mountain (Inter, Multi Ch Steadwyn Blue Legend X Ch Dances By Moonlight of the Holy Mountain) is now also Estonian (Eesti) Champion ! Congratulation the her owner Anne-maria Skarp! 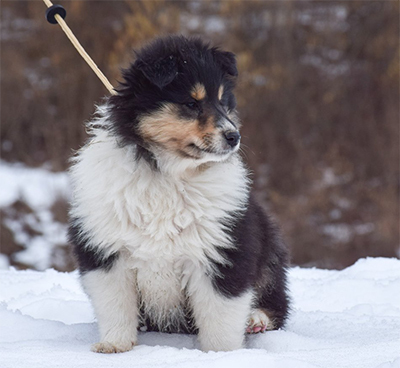 The mother to be is our sweet Mia-Klassic Touch of the Holy Mountain (WCJW-12, Int Ch Wicani Ent'Iced x Ch Dances By Moonlight of the Holy Mountain). 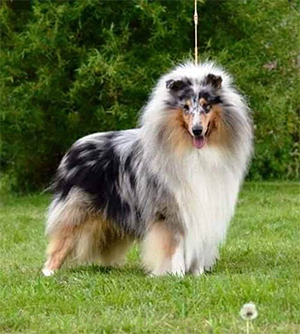 The proud dad is our of special guest Chaos-Ch Rosscarr's Raising Chaos (Van-M Good Fellow at Wicani X Wicani Love On Blue Fridays) imported from UK, The puppies shall have excellent pedigree, great temperament and excellent health. All will be DM free, MDR-1 +/- and some can be CEA free or carrier. I am really exited by this litter as the first puppies of Chaos born here are really special..My Azzuro and Misty! Great news from CAC Trbovlje. Tory-She's The One Of the Holy Mountain (EJW-12, Multi Ch Monsolana Meeting With You x Ch-J-Hr Nights In Satin of The Holy Mountain) was 1. Ex, CAC, Phoenix-Ch Preeminent Line Could this Be Love (Ch Wicani Leading Light x Ch Preeminent Line Silver Dream) was 1 ex, CAC and Lex-Ch Power of Love of the Holy Mountain (Ch Hot N'Sp'Icy of the Holy Mountain x Ch-J-Slo In the Wings of Hope KoToRa) was 1 ex, CAC and BOS! Well done Lana Premk! 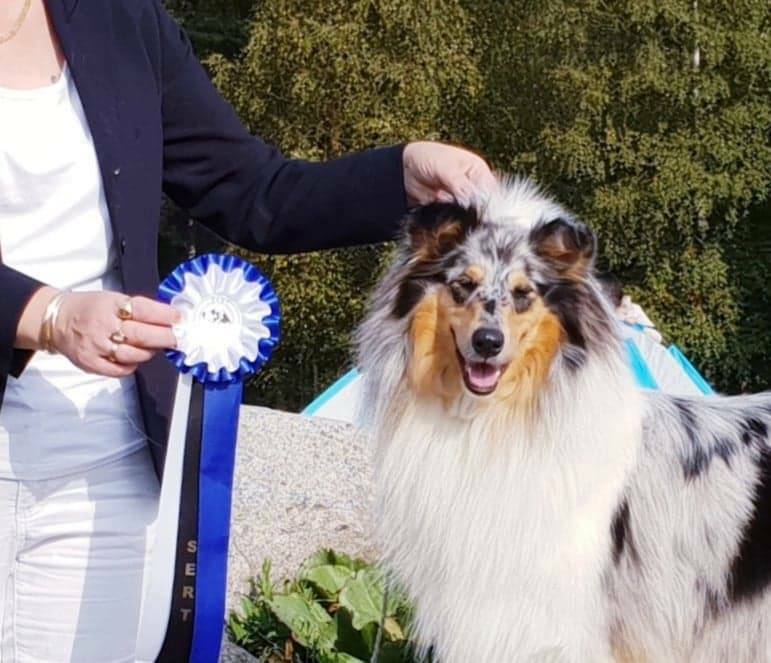 So proud of our Unique-Int, Multi Ch Que Du Plaisir of the Holy Mountain (Int, Mutli Ch Steadwyn Blue Legend x Ch Dances By Moonlight of the Holy Mountain) and her owner Anne-maria Skarp. 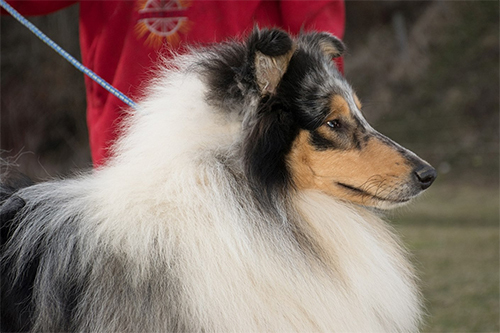 Unique is at only 2,5 years C.I.B FI, SE, NO, NORD, RU,LT CH and LT, LT, LV, EE JMVA BALT JMVA BALTJV-17! Just amazing what a show star she is! Great results from CACIB Rogla I! 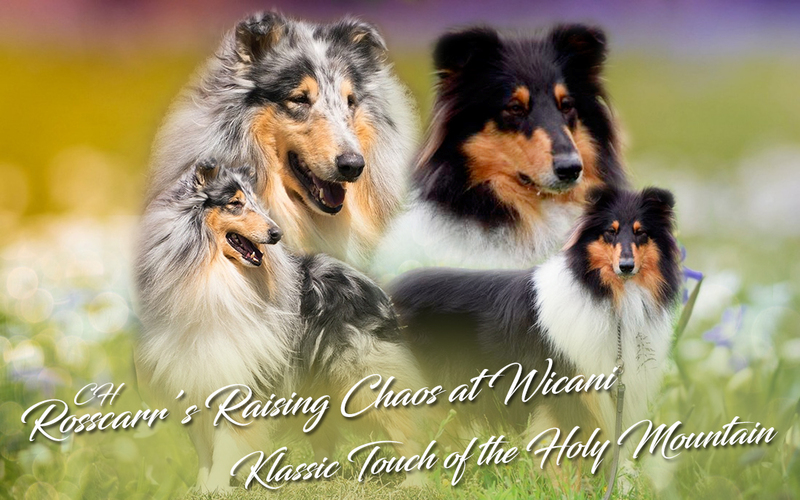 My special girl Tory-She's The One of The Holy Mountain (EJW-16, Multi Ch Monsolana Meeting With You x Ch-J-Hr Nights in Satin Of the Holy Mountain) was 1 ex, CAC, CACIB and at the end BOB in a very strong competition. My golden boy Lex-Ch Power of Love of the Holy Mountain (Ch Hot N'Sp'Icy of the Holy Mountain x Ch-J-Slo In the Wings of Hope KoToRa) was 2 ex, R-CAC. 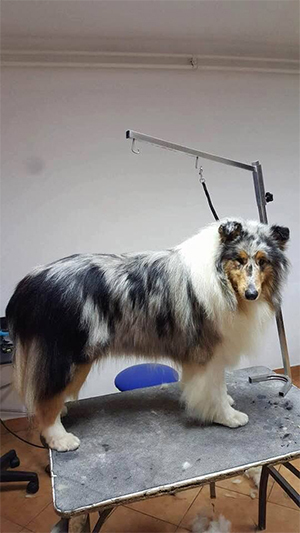 All merits go their handler, trainer and groomer Lana Premk. What an amazing day at CACIB Rogla II! 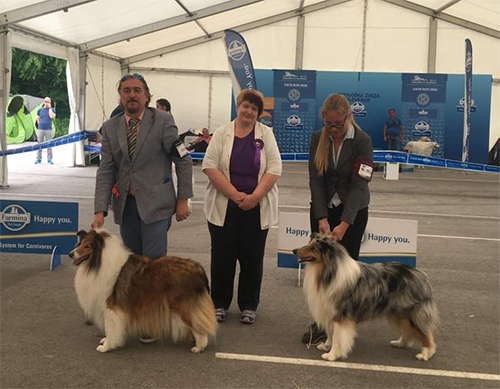 The star of the show this time was my golden boy Lex-Ch Power of Love of the Holy Mountain (Ch Hot N'Sp'Icy of the Holy Mountain x Ch-J-Slo In the Wings of Hope KoToRa) that was 1ex, CAC, CACIB, BOB and BOG 2nd in a very strong competition. My special girl Tory-She's The One of The Holy Mountain (EJW-16, Multi Ch Monsolana Meeting With You x Ch-J-Hr Nights in Satin Of the Holy Mountain) was 1 ex, CAC and R-CACIB. So proud of both of them. 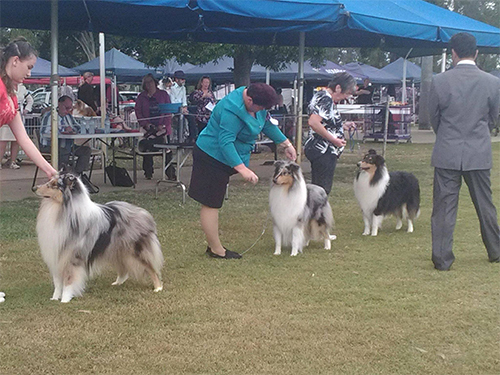 All the merits go their handler & trainer & groomer Lana Premk… Lana you are the best! 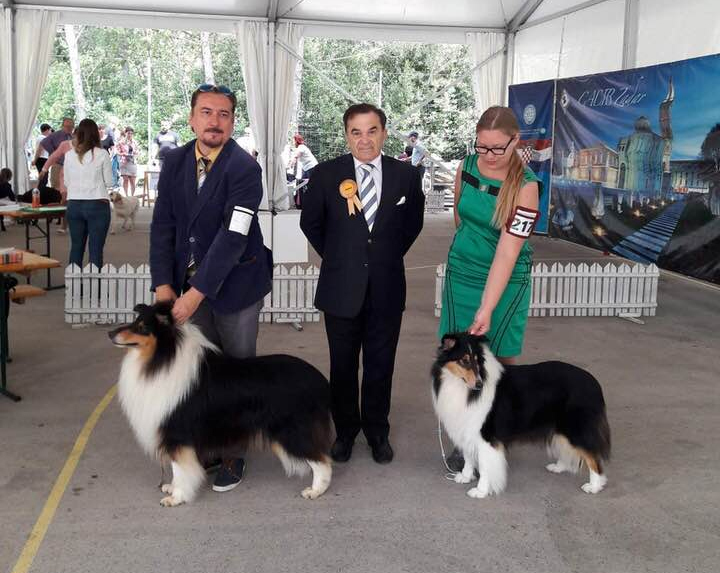 Lana Premk and Tory-She's The One of the Holy Mountain (EJW-16, Multi Ch Monsolana Meeting With You x Ch-J-Hr Nights In Satin of the Holy Mountain) winning 1 ex, J-CAC, J-BOB at CACIB Bled I under judge specialist Barbka Novak. Girls you rock! Great day at CACIB Bled II. The star of the day was our special Polish boy Phoenix-Ch Preeminent Line Could this Be Love (Ch Wicani Leading Light x Ch Preeminent Line Silver Dream) that was 1 ex, CAC, CACIB and BOS. 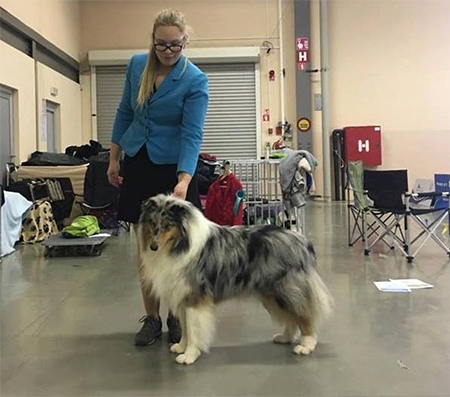 This CAC is important as it was a Special Show and it's one of the condition to fullfill the conditions to become Slovene Champion. 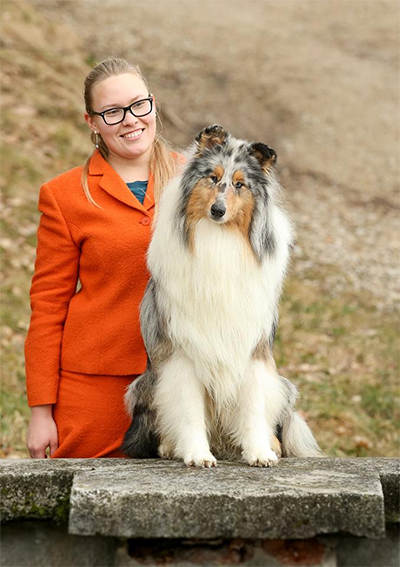 Thank you to the judge Alenka Pokorn for appreciating my boy and thank you Lana Premk for training & grooming & handling! You are the best! Amazing news from Australia again! 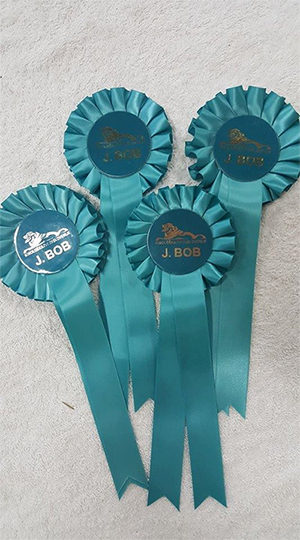 Our special boy Frosty- Sea Of Love Of The Holy Mountain (EJW-16, Multi Ch Monsolana Meetinig with you x Ch-J-Hr Nights in Satin of the Holy Mountain) was BOB and shortlisted in the Group. He got 15 points which puts him at 75 points now (100 points = Australian Champion). Way to go Karrin Lapworth and Frosty. So happy and proud for you both! 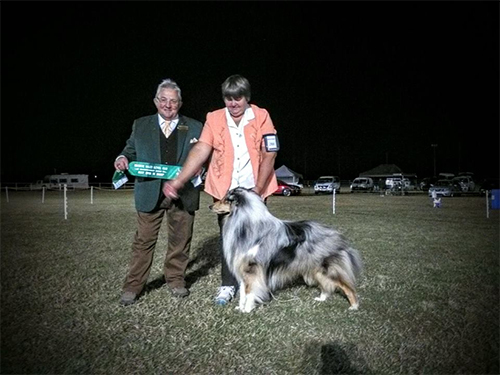 Great news from Liettua Moletai, British Sheepdog Specialty Dogshow. 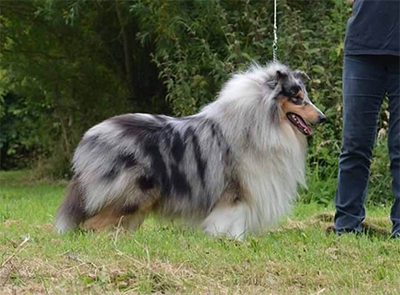 Unique - Que Du Plaisir of the Holy Mountain (Multi, Int Ch Steadwyn Blue Legend x Ch Dances By Moonlight of the Holy Mounrain) is now LT Champion !. She was 1 ex, CAC. 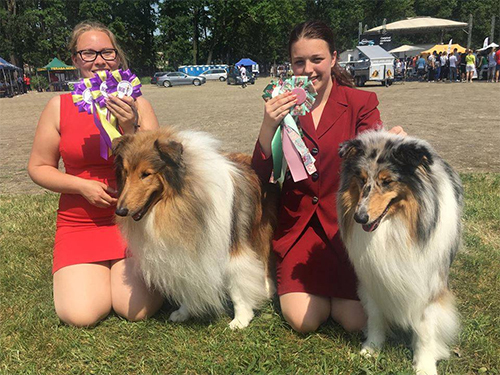 Congratulation to her owner Anne-maria Skarp! Amazing news for Australia. 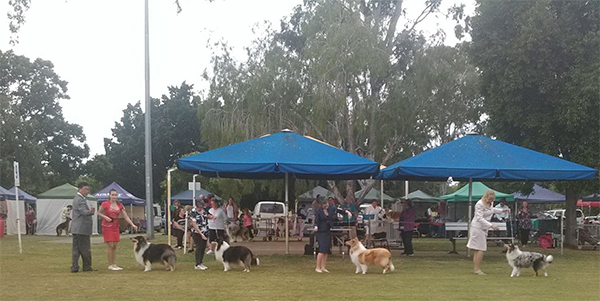 Our special boy Frosty-Sea of Love of the Holy Mountain (EJW-16, Multi Ch Monsolana Meeting With You X Ch-J-Hr Nights In Satin of the Holy Mountain) did great at the Brisbane Valley Kennel Club on 12/5/18 under judge Mr K Hammond (NSW) he was CC, RU BOB & Open In Group and on 13/5/18 under judge Mrs S Tringham (QLD) he was CC & RU BOB. 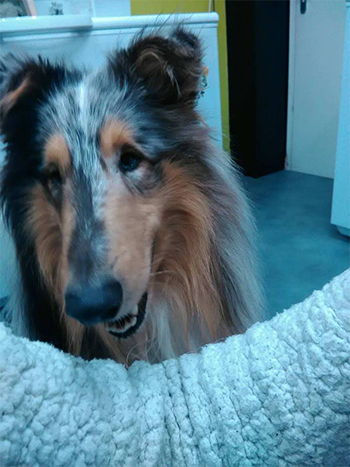 So proud and happy for his owner Karrin Lapworth! My dream team did it again! Here the final results of CAC & 2x CACIB Timisoara (RO). 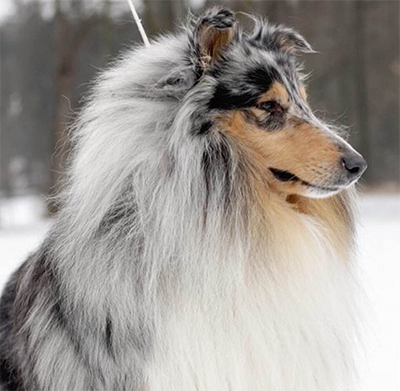 My special Polish boy Phoenix-Ch-Preeminent Line Could This Be Love (Ch Wicani Leading Light x Ch Preeminent Line Silver Dream ) was 3x 1ex in inter class, 3x CAC, 1 x CACIB, 2x BOB and BOG 3rd and my golden boy Lex-Ch-Power of Love of the Holy Mountain (Ch Hot N'Sp'Icy of the Holy Mountain X Ch-J-Slo In the Wings of Hope KoToRa) was 3x 1ex in open class, 3x CAC, 1 x CACIB and 1x BOB. Both boys fullfilled the conditions to become Romunian Champions and both opened their Int Ch... Lana Premk & Nika Vrbinc thank you ! You are the best !!! Such amazing news from Australia-Part II. Our special girl Star-Reach the Stars of the Holy Mountain (Justify My Love of the Holy Mountain (WCJW-12, Int Ch Wicani Ent'Iced x Ch-J-Slo In the Wings of Hope KoToRa) X Ch Dances By Moonlight of the Holy Mountain (Ch Essanjay Encore X Born To Be Femme Fatale) was Best of Breed again at the Western suburbs kennel Club, judge Mr A Hsieh (China). My special blue boy Frosty-Sea Of Love of the Holy Mountain (EJW-16, Multi Ch Monsolana Meeting With you (Monsolana Action To Victory x Ch. 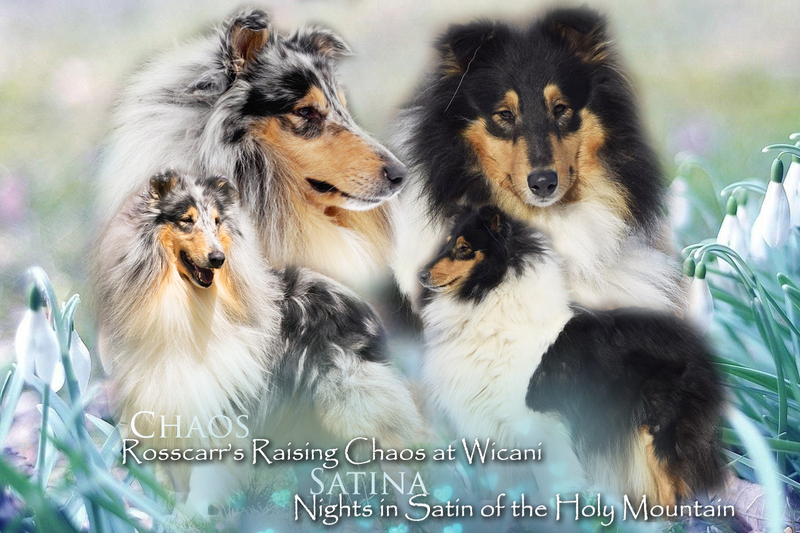 Aleandr Aurika ) X Ch-J-Hr Nights in Satin of the Holy Mountain (WCJW-12, Int Ch Wicani Touched By a Dream x Zita Vom Presseggersee) was R-CAC. I am so proud and happy for their owner Karrin Lapworth. A big thanks again to my handler Lana Premk that trained them so well before their departure to Australia! Such amazing news from Australia. 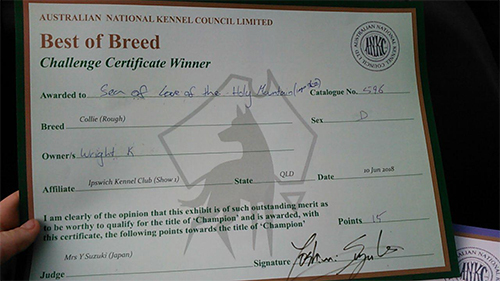 Our special girl Star-Reach the Stars of the Holy Mountain (Justify My Love of the Holy Mountain (WCJW-12, Int Ch Wicani Ent'Iced x Ch-J-Slo In the Wings of Hope KoToRa X Ch Dances By Moonlight of the Holy Mountain (Ch Essanjay Encore X Born To Be Femme Fatale) was Best of Breed at Western Suburbs Kennel Club ubder judge Me H Almgrem Sweden. So proud and happy for her owner Karrin Lapworth! Way to go girls! Can still not believe it ... Last of 4 CACIB Zadar (Hr) shows! 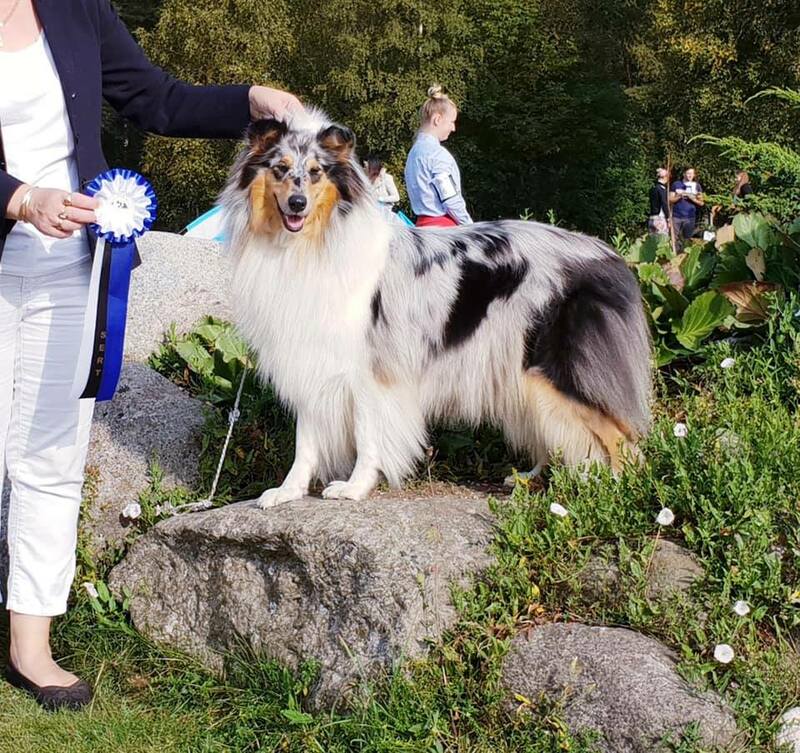 Lana and my special girl Bijou-Quel Bijou of the Holy Mountain (Multi, Int Ch Steadwyn Blue Legend x Ch Dances By Moonlight of the Holy Mountain) did it again! 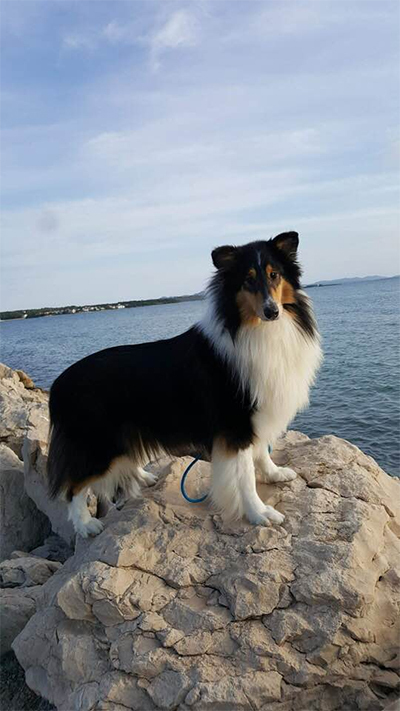 Bijou was 1ex, CAC, CACIB and BOS ☘ under BORIS CHAPIRO from France! He loved her head and classic type. 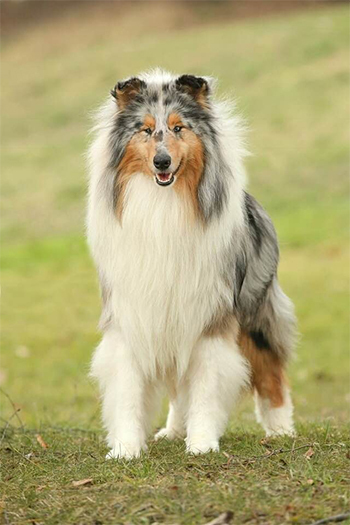 Really unbelivable that a French judge appreciates the classic type of collie. 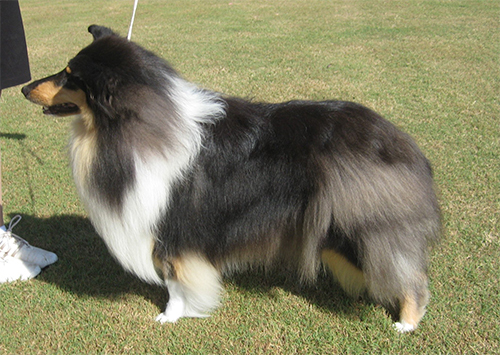 Bijou was out of 4 shows 3 x CAC, 1 x R-CAC, 3 x CACIB and 2x BOS!!!! Lana thank you for being the best! 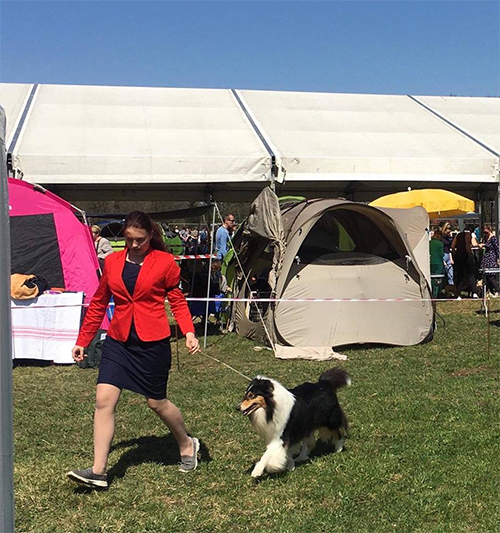 I would like to share last week-end show results of CACIB Pohorje and Maribor. Phoenix-Ch-J-Slo Preeminent Line Could This be Love (Ch Wicani Leading Light X Ch Preeminent Line Silver Dream) was both days 2nd ex, R-CAC and my Bijou-Quel Bijou of the Holy Mountain (Multi, Int Ch Steadwyn Blue Legend x Ch Dances By Moonlight of the Holy Moutain) was on Saturday 2 ex, R-CAC and Sunday 2 ex ..no title... Both got really good descriptions! Thank you Lana Premk for everything! 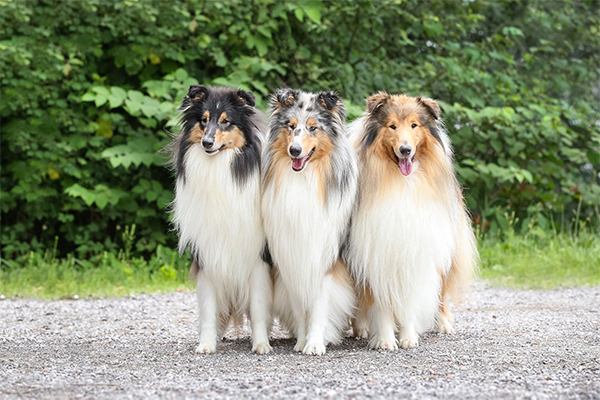 Happy, happy, happy... My 3 babies Lex-Ch-J-Slo Power of Love of the Holy Mountain (Ch Hot N'Sp'Icy of the Holy Mountain x Ch-J-Slo In the Wings of Hope KoToRa, Phoenix-Ch-J-Slo Preeminent Line this Could be Love (Ch Wicani Leading Light x Ch Preeminent Line Silver Dream) and Bijou-Quel Bijou of the Holy Mountain (Multi, Int Ch Steadwyn Blue Legend x Ch Dances By Moonlight of the Holy Mountain) are all 3 HD A/A. Thank you Lana Premk for everything! Happy, happy, happy... Back from the breeding test... Phoenix-Ch-J-Slo Preeminent Line this Could be Love (Ch Wicani Leading Light x Ch Preeminent Line Silver Dream) , Bijou-Quel Bijou of the Holy Mountain (Multi, Int Ch Steadwyn Blue Legend x Ch Dances By Moonlight of the Holy Mountain) and Prime-Next Rising Star of the Holy Mountain (WCJW-12, Int Ch Wicani Ent'Iced x Zita Vom Presseggersee) all three got great description with exellent and breeding value A... 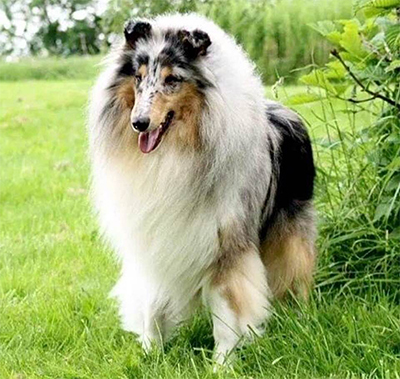 The new breeding committe saw their qualities and their faults as no dog is perfect but as they are judges and breeders too they understand that breeding is doing compromises and mating dogs that complement each other trying to eliminate faults in each genetation. Prime got his breeding licence for life and Bijou and Phoenix until 2020. 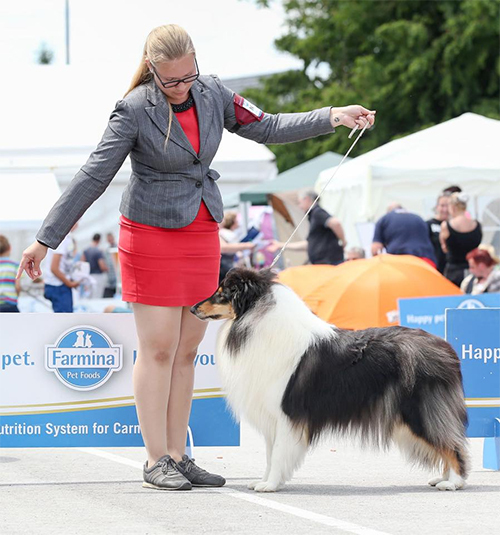 Would like to thank Lidija Oklescen the president of our Club for British sheepdog that put so much effort so we have a new breeding committee! That you to the members of the breeding committee for your professional attitude and understanding breeding and your role! So great for Slovene Cynophily! 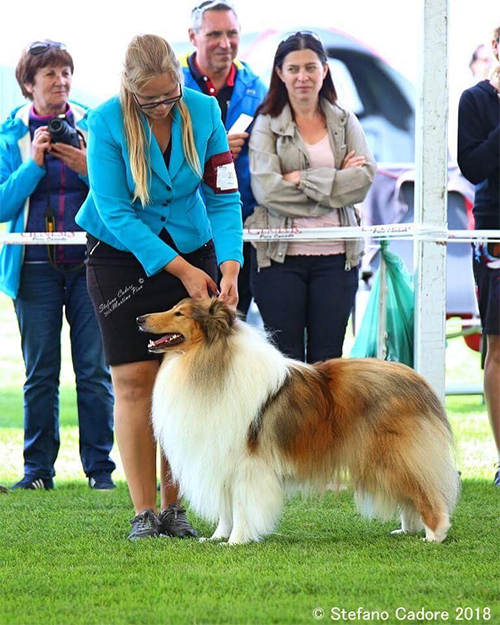 Really proud of my Phoenix-Ch-J-Slo Preeminent Line Could This Be Love (Ch Wicani Leading Light x Ch Preeminent Line Silver Dream) that became Slovene Junior Champion at only 15 months! 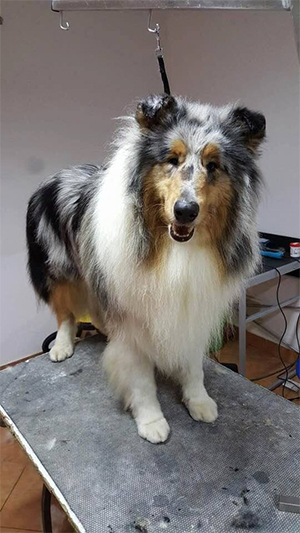 All the credit goes to his trainer and handler Lana Premk! 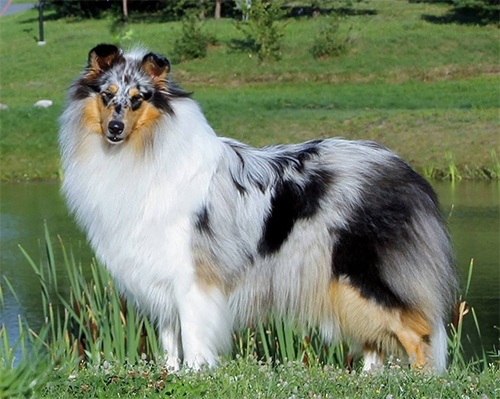 Thank you to his breeder Andrzej Kamiński ! 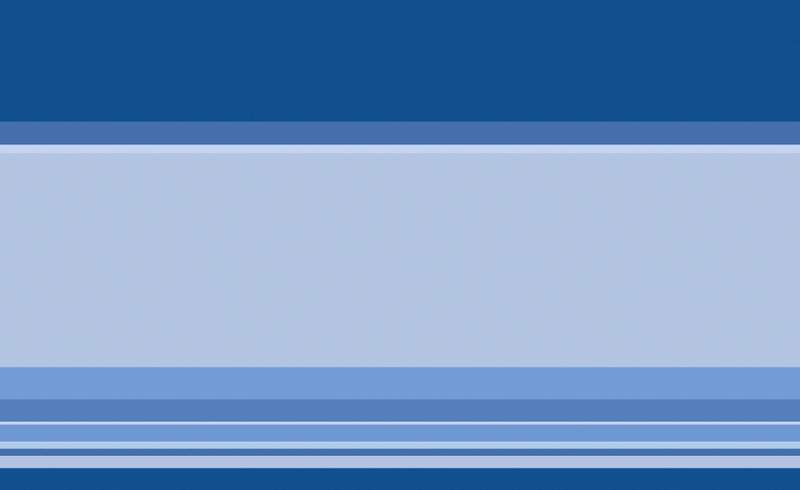 Wicani DANCES IN SUNLIGT – GB) x (ML.CH. CH. 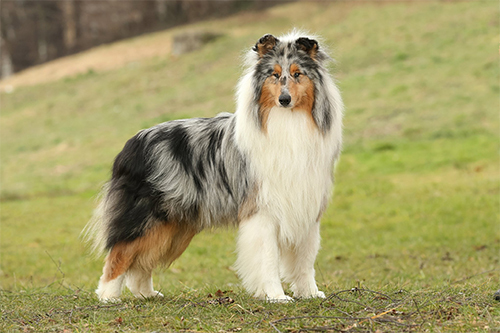 Preeminent Line SILVER DREAM (CH. Wicani ANIESH ABOVE AND BEYOND - GB x ML.CH. CH. 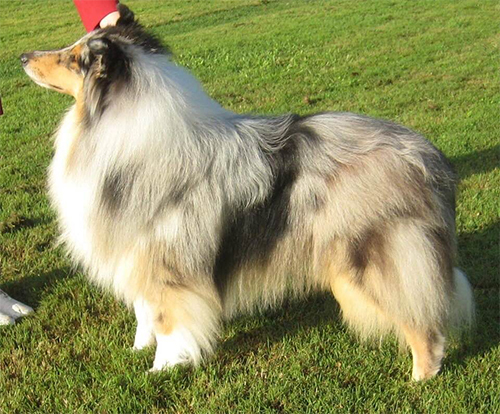 CRYSTAL CLEAR Des Beldones – France ) was 1 ex, CAC and RCACIB at only 15 months. 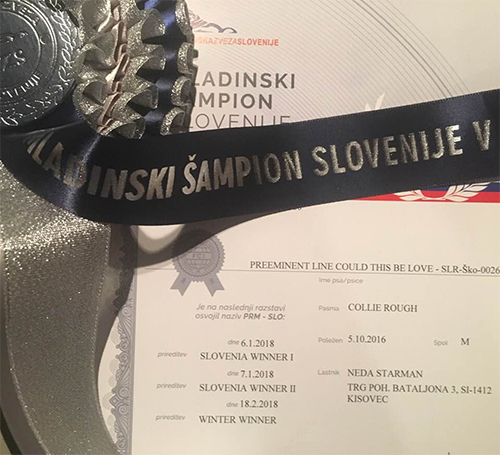 With this 3 CAC he fulfilled the conditions to become Slovene Junior Champion. I am over the moon. 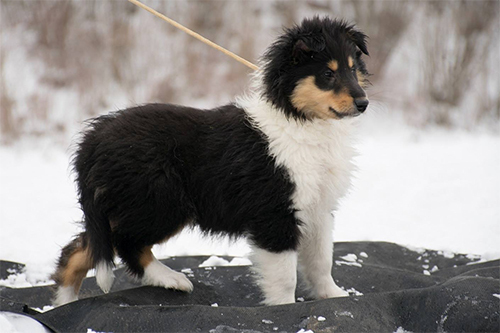 I am so greatufil to his breeder Andrzej Kamiński and to my friend Lana Premk that trained him and is his handler! 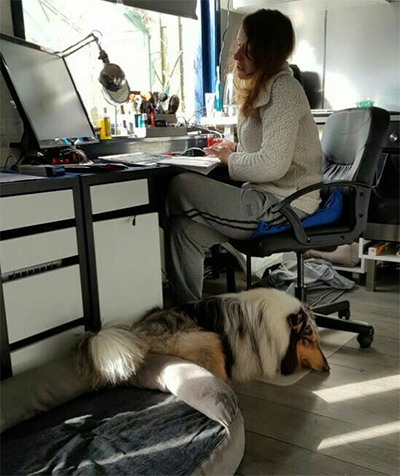 They make the perfect team. Thanks for to beautiful photos to Blayo San ! Great news! My special Finnish boy Llyr-Carnoustie's Tutankhamon arrived safe and sound in his new home in the Netherlands where he will be loved by Keeny De Volder. He arrived safely yesterday and he is feeling already at home. I am so happy he found such a wonderful home where he will be doing what he loves most ..cuddling in the house and running outside. He might even start canicross or agility. Just what I was hoping for him. Thank you Maity Stevens for your help too! 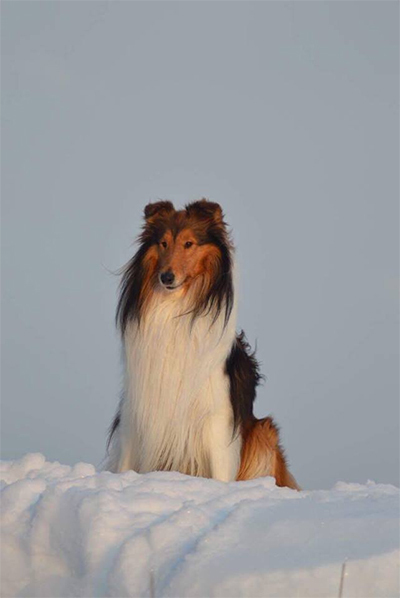 My special Finnish boy Red-Mr Majestic of the Holy Mountain (WCJW-12, Int Ch Wicani Ent'Iced x Ch-J-Slo In the Wings of Hope KoToRa) enjoying his life with Suvi Kervinen! 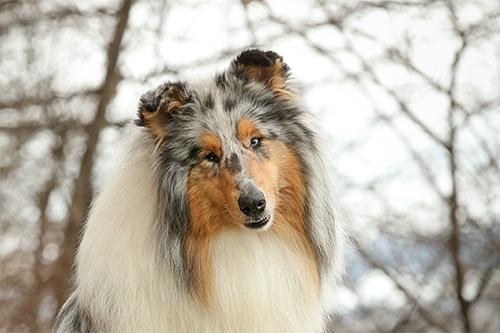 A show star is born ...my special Polish boy Phoenix-Preeminent Line Could This Be Love (CH.Wicani LEADIND LIGHT x ML.CH. CH. 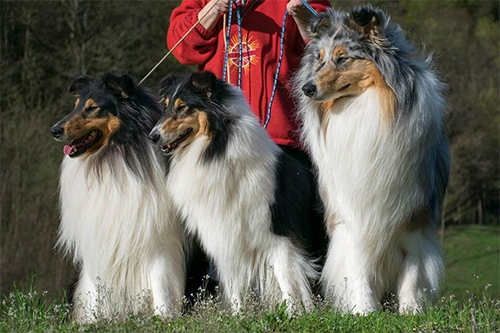 Preeminent Line SILVER DREAM) was 2 x 1 ex, J-CAC and J-BOB and Crufts qualified! Way to go Lana and Phoenix... the success story just began! It's raining/snowing at our Golden Ranch but we don't care! We have fun!